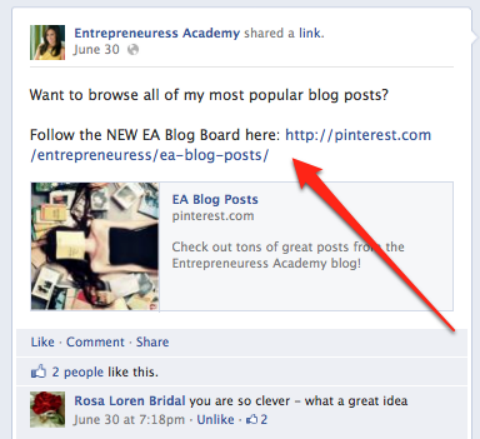 Generate a full board preview (photo and all) by posting the board's direct URL . 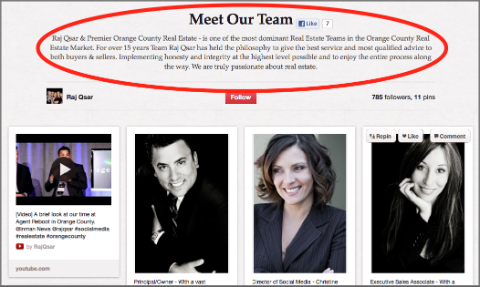 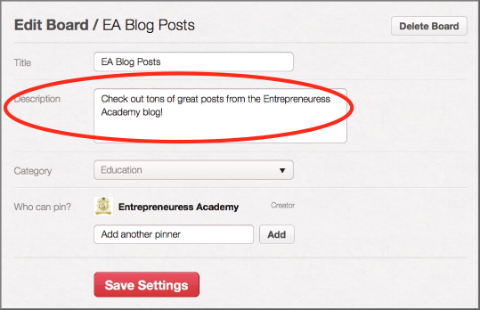 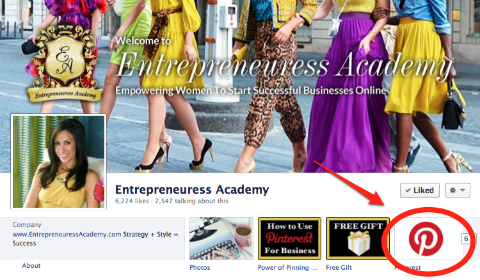 Add a description to your board by clicking the "Edit Board" button at the top of your Pinterest board page. 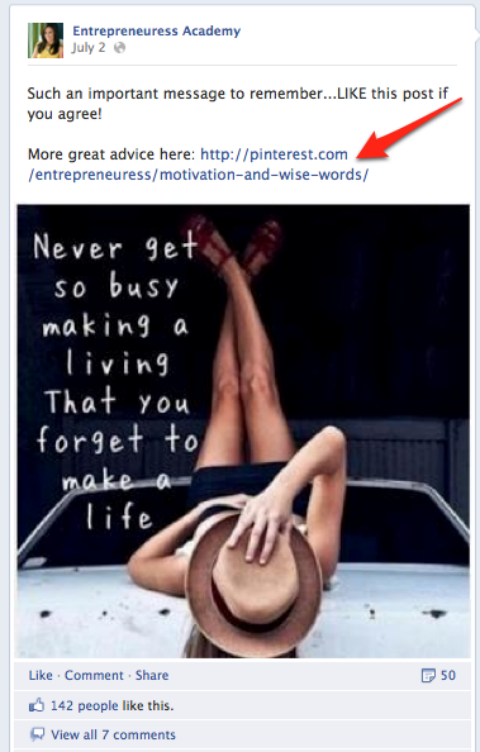 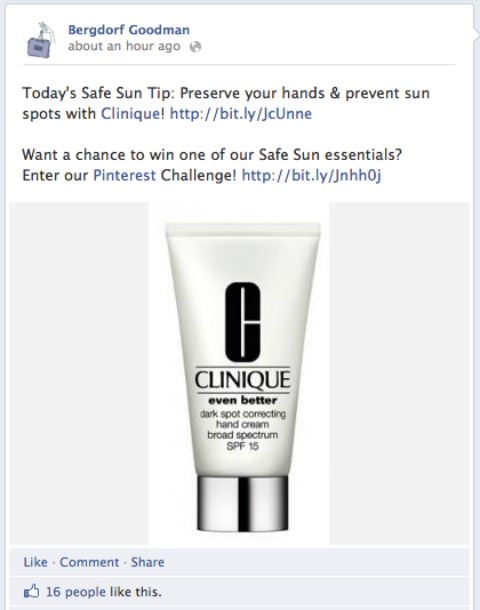 Promote a particular pin by pasting the pin's direct URL into your Facebook status update. 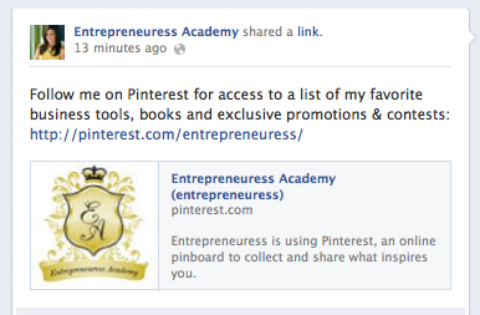 Melanie Duncan is the founder of the Entrepreneuress Academy and creator of the Power of Pinning course. 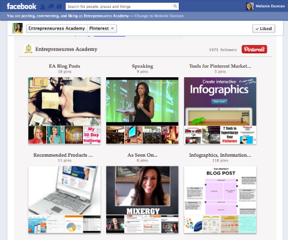 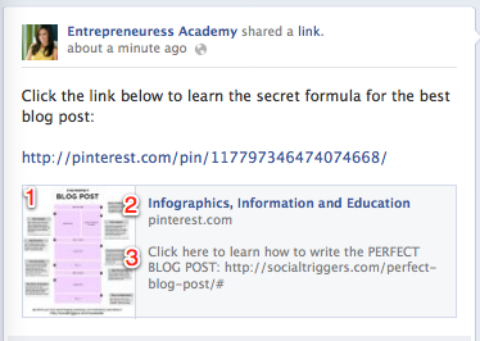 For more Pinterest marketing training, join her on a free webinar HERE.